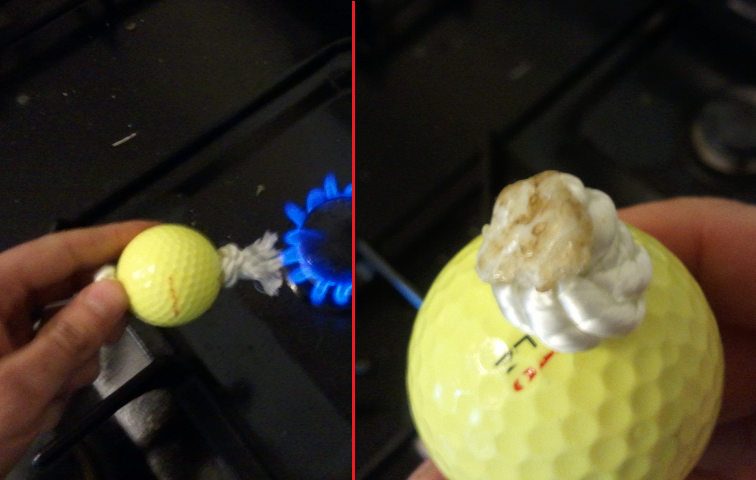 When making the bolas, I’ve found the through-hole method to be rock-solid and maintenance free. It took me a little while to find a painless way to crank these out. 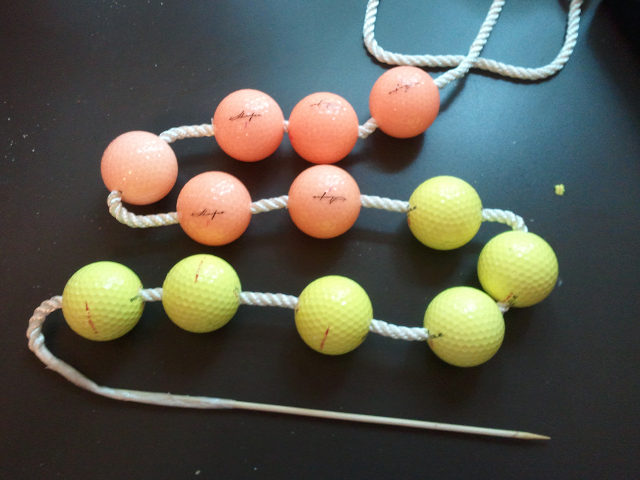 I like to use a 1/4″ nylon rope and a 1/4″ hole, so stringing the rope can be difficult. 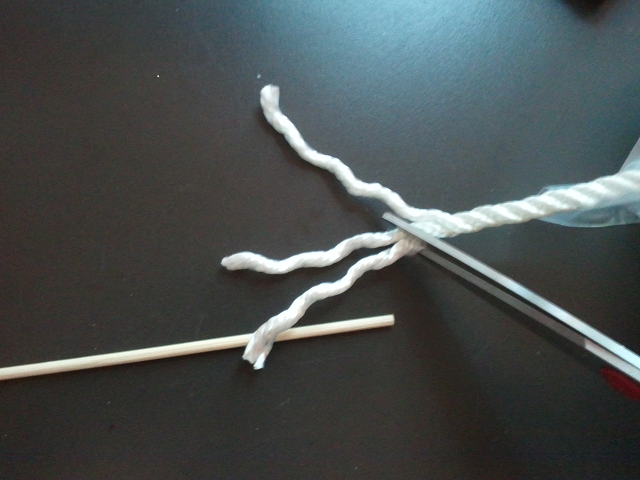 My first trick is to taper the rope at the tip and tape it to something thin and rigid. Here I’m using a skewer, but I’ve used a piece of wire in the past. 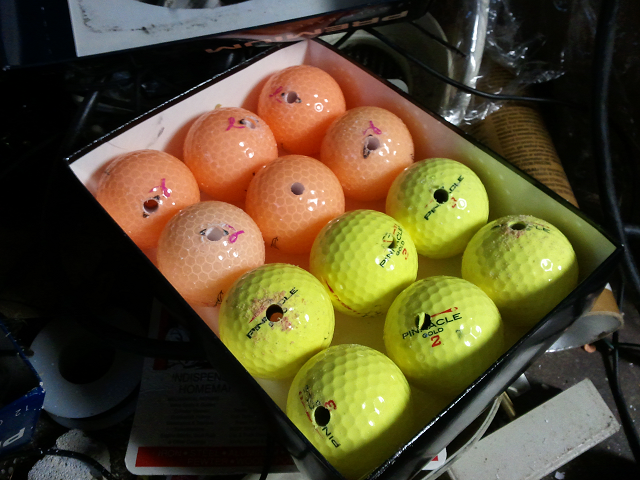 The second trick is to put all the golf balls on the rope first, before double-knotting and cutting each bola. 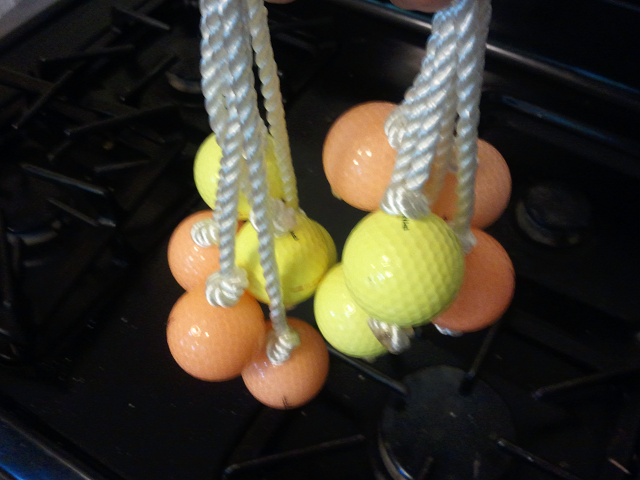 The last thing I do on each bola is melt the end of the rope with an open flame, permanently locking the knot in place. I also tried something new this year. One of the things that bothered me about my previous ladders was the number of pieces. 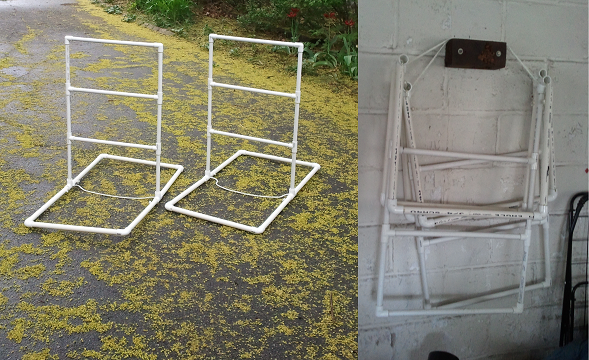 Each ladder breaks down into 3 pieces, which makes storage and transport a little annoying. Using some of the left-over bola rope, I turned each ladder into a single unit with a shoulder strap. I’m pretty happy with how they came out, and with my design improvements. This entry was posted on Sunday, April 22nd, 2012 at 7:34 pm	and is filed under Mechanical. You can follow any responses to this entry through the RSS 2.0 feed. You can leave a response, or trackback from your own site. Nice write-up. I think we need an action shot of you wearing one of these stylish accessories though. there are two of them. I assume you mean wearing them as earrings?